I tried to preach this message Friday, but due to opposition, I was not able to effectively communicate it. But thankfully today it came to fruition. 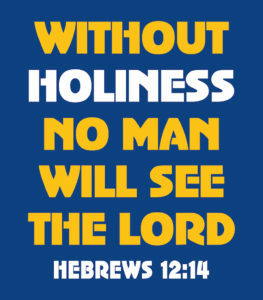 Without holiness we cannot even see God, let alone go to heaven. Without righteousness, we cannot enter heaven. And the Bible says that no one is righteous, so how is this significant problem resolved (but only for some).